What’s new in Jumpchart? Content imports. We know how challenging it is to work with text when you’re rewriting a pre-existing site, so we made it way easier with single-page imports. Now, instead of copying and pasting the text over, you have a new option to import existing page content with a few clicks. Save time by pasting in the URL you want to import and we’ll do the rest. We’ll import and format PNGs, GIFs, and JPGs so you can see what you’re working with. You’ll get a clean Markdown/Textile version to work from so you can reformat, rewrite, and work with the text without wasting time copying and pasting. Learn more about imports here. This is a beta feature, which means we’d love to hear how you like it so we can keep improving. Have some ideas you want to share? Tweet @_paste or email us at support@jumpchart.com to provide feedback. What’s New in Jumpchart? Custom Fields, Responsive Sitemap and More. We’ve got some new stuff to share with you! Small, yes, but they’re improvements to the way Jumpchart allows you to plan your website, so to us they are mighty indeed. Without further ado, here’s a look at some of the new features you’ll notice next time you log into your Jumpchart account. Announcing custom fields, a feature that will allow you to customize your project so it’s as complete as you need it to be in a .CSV export. Use it for info like mood, template style, background color, SKU, department, tags, author, or permalink URL. Pick a default value for the whole project, or adapt it per page. Your project, your call. The goal is for Jumpchart to be a place you can organize all the information for your website project… and all means whatever you need it to mean. Get the details and watch a video over here in the help section. Be sure to let us know if you have any questions on how to make this feature work for you! 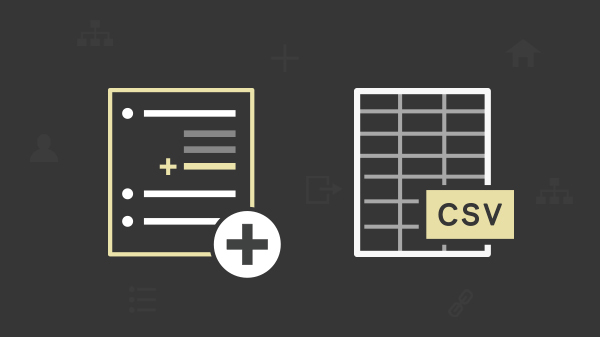 In addition to all the other ways you can export your project (wireframe, preview, single page HTML, entire site HTML, PDF, for CMS) we’ve now added CSV to the list. As you know, it’s a very portable and flexible file format that can be read and parsed easily by all your favorite tools. It’s super easy to custom code around, too. Freshen up on all the export details over here. Ever wished you could reorder pages right from the sitemap? Now you can. Because with Jumpchart you do more than see the big picture. You create the big picture. Wireframe and public views are now responsive, so it’s more convenient to plan, edit and collaborate on your website project using any device. Spread it out on your desktop, or work on the go from your mobile – all without losing that big picture presence Jumpchart provides. We focus pretty intensely on these updates with an end goal that they’ll help you do a better job of planning your website. Because at the end of the day, website planning doesn’t have to be messy.